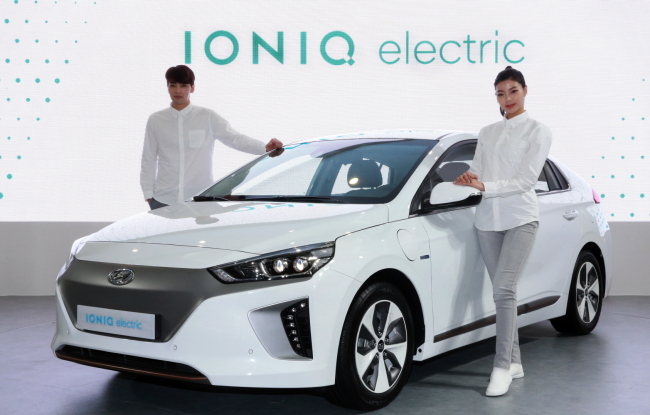 JEJUDO ISLAND -- Hyundai Motor, the nation’s largest automaker, unveiled its pure electric vehicle version of Ioniq, the company’s first dedicated eco-car platform, at the 3rd International Electric Vehicle Expo in Jejudo Island on Friday. “Ioniq Electric boasts of the longest range among electric cars on the road and advanced driving performance,” the Korean automaker said in a press release. NEXTMiral Auto Camp Corp. website renewal open!